It finally happened! , we finally got a glimpse at what Microsoft has in store for its next version of Windows and how it plans to compete in the tablet market. Yes, after months of some leaked screenshots and rumors, Redmond finally showed an early preview of what’s now code named Windows 8 — or what is perhaps better thought of as a mashup of Windows 7 and Windows Phone 7. We’ve taken a hard look at all the information that’s been released and come up with a primer on what we know so far about Redmond’s forthcoming operating system, so hit the break for a deeper look at what’s coming. Let’s talk for a second about this new version of Windows and what kind of devices it’s meant for. At the most basic level, the new OS consists of a homescreen with large Windows Phone 7-like live tiles, and underneath that you’ve got classic Windows — what more or less looks like Windows 7. We’re going to get into the specifics of that new “layer” or “shell” below, but Sinofsky and Angiulo stressed that while Windows 8 has been optimized for touch and tablets, it’s also meant for “hundreds of millions of computers.” According to Microsoft, Windows 8 will work well with touch-only tablets as well as traditional mouse / keyboard PCs. Angiulo said it loud and clear: “There are no different versions of Windows. There’s just one Windows. Windows runs everywhere.” That means there won’t be a distinct tablet version of Windows 8, like we thought early on. It’s a bit confusing since much of the new UI is meant for finger input, but Angiulo showed a brief demo of it working on some regular laptops and how you’d use a mouse and some keyboard shortcuts to navigate the touch interface. How do you switch between the regular Win 7 desktop and the new homescreen? It seems you’ll just select a tile with the desktop and then hit the circular Start button to return to the new UI. It seems rather clunky, but remember this was just a very early preview and things will likely change. Now that we’ve covered some of those basics, let’s dig into that new user interface! It all starts with a lock screen that’s very similar to Windows Phone 7. You will be able to change the background, and alongside the date and time you’ll get some basic alerts — including messages, emails, and your next calendar event. Swiping up will take you to the new homescreen, although you can see in all the videos that there’s a brief user account screen between the two. It seems a bit off that the account user screen pops up after the unlock, but again this isn’t even beta software yet. Microsoft’s President of Windows Experience Julie Larson-Green made it crystal clear during her demo at D that the new tiled mosaic homescreen is a replacement for a blank desktop. Obviously, it’s all Metro UI and looks a lot like what we’ve seen on the Zune and Windows Phone 7. However, these are larger live tiles that have been designed to display more information on larger screens. She also mentioned that all your apps would eventually show up here, but we don’t know yet if there’s another app list or program management tool. Interestingly, the UI was only demoed in landscape mode, so there are questions about how this would work with in portrait mode. Actually, everything we’ve seen from the interface so far seems to indicate that this is an OS built for landscape view — we’ll say it’s more akin to Honeycomb than to iOS in that sense right now. Apps are meant to run fullscreen, and Microsoft showed off a few examples, including weather, news, Twitter, photos, and stocks. We’re not going to dive too hard into these since we’re thinking they may change before the launch, but the gallery below gives you a feel for how these apps use their own tiles and stretch the screen. Naturally, the touch-centric OS has a revamped soft keyboard — although interestingly it supports multiple layouts. Microsoft has already shown off two of the included layouts: one is just a standard keyboard, though it has Ctrl and arrow keys, and the other is split for thumb typing. It looks pretty cool, but we’re interested in seeing how things like copy and paste works. The video below offers a brief look as some of the touch gestures Microsoft’s building into Windows 8, and Redmond’s come up with some clever ways to get around. Swiping from the right brings up a menu bar with shortcuts to the Start screen, Search, Share, Connect, and Settings, and swiping from the left lets you scroll through your open apps. The coolest part, however, is something Microsoft calls “Snap.” When swiping in one of those apps from the left you can hold one of the apps mid-swipe, and snap it into place alongside another app so you get a dual-pane view on the screen. You can adjust the size of the apps by sliding a bar. And yes, you can snap legacy apps next to new apps, although that might create a UI nightmare. Apps seem to have their controls on the top and bottom of the screen. For instance, in the News Reader app you can add feeds by swiping up for a toolbar and in the browser you get the address bar along the bottom edge. So, what kind of hardware will Windows 8 run on? As we said at the start, Microsoft says this OS is for desktops, laptops, and tablets, and Sinofsky said that it requires less horsepower than Windows 7. While the demos at D9 were done on Intel-powered laptops and test machines, the demo at Computex included an array of hardware, including an NVIDIA quad-core Kal-El-powered laptop and a smattering of ARM tablets. And that’s the biggest change in Windows 8, really: Microsoft will support both ARM and x86 processors. Both Qualcomm and TI announced processor support and ODMs like Foxconn, Wistron, and Quanta have already taken to building development systems. Obviously, on the x86 side, Intel and AMD are on board, but the Computex presentation made it look like we should expect lots of ultrathin, long-lasting laptops based on ARM. On top of that, Microsoft showed a partner slide which listed almost every computer manufacturer you could imagine. Yes, everyone from Dell to HP to Lenovo is on board to build Windows 8 systems. Not surprising, but it’s still good to see momentum building. A few slides detailing hardware requirements were also shown, including a target of 16:9 displays with a minimum of 1366 x 768 resolution. Microsoft is also suggesting bezel sizes and that manufactures use edge-to-edge capacitive glass for tablets. Angiulo stressed that there’s going to be a much closer partnership between software and hardware integration with Windows 8, but we don’t know if we’re dealing with Windows Phone 7-like hardware restrictions yet — although we’ve heard some rumblings from companies like Acer thatMicrosoft is indeed being strict when it comes to tablets. TimingHere’s where we don’t know much. When asked about when Windows 8 would hit prime time, Sinofsky dodged the question and said “we release a major update to Windows every two to three years.” Microsoft did say that it would reveal much more about Win 8 at the BUILD conference in September. 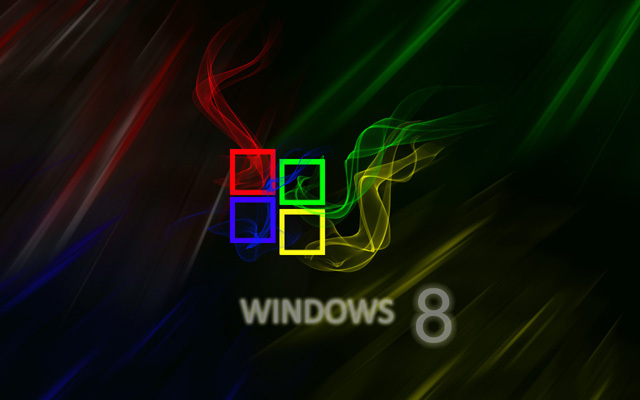 According to our sources, actual Win 8 systems probably won’t hit until mid-2012.